To make your trip more enjoyable, we've put together a few links and pages that we hope will be useful before and during your stay in our beautiful city. Can't figure out how to get from the airport to your apartment? Want to know the best route to view the Eiffel Tower? 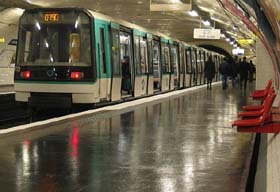 Here's an interactive map of the Paris metro system to help you get around. Concerned about using the metro for the first time? We've found a great site that explains the metro system with lots of great facts and info. 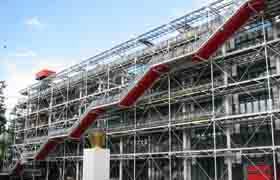 Paris is the home of the Mona Lisa and the birthplace of expressionist art. There are museums of modern art, technology, film and even a doll museum. Here are just a few. 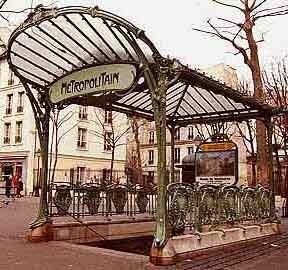 Paris has an excellent public transit network, including the Métro, buses, trams and RER regional express trains that run to the suburbs and the airports. For more information, click here. You know how much the apartment costs in euros. Want to see what a bargain you're getting in your local currency? Here's a simple site for calculating your exchange rate. Wondering what to bring, what to wear? Will it be hot, cold or just right? Here's the 5 day forcast for the Paris region. Wondering what to do during your stay. Here are a few sites to get you started. You'll find enough shows, exhibits, clubs and dining to keep you occupied for your visit.